When you do your research about running for beginners, you might be overwhelmed by the amount of information that Google will give you. I know because I’ve been there. I was young and interested in running and I want to know as much as I can. At first, it was all for the sake of exercise and living healthy. But I knew there was more to running than just exercise. A part of me wanted to compete and join marathons. I wanted to measure just how far I could come. When I did my search – oh boy! 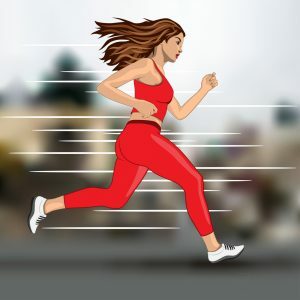 There were a lot of articles and websites about running! I didn’t know which one to follow and I was overwhelmed by everything. So if you are searching for information right now – I know how you feel. This is why I want to make it simple for you. Admittedly, this is a programme that I did not follow. I initially following something else. I found this running for beginners programme and started it – only to fail. Well, that is an exaggeration but I did feel like there was something off about it. So I came up with my own programme. If you are running for the first time or you want to start joining races, here is a 3-phase programme that you might want to follow to be better at running. Day 1: Start by walking for 10 minutes. Then, progress into a slow run. At first, it will feel off. But that is okay. The longer you run, the easier for you to find your pace and rhythm. Going ½ mile to a mile is enough for day 1. To end, just slow down and walk for another 10 minutes. Day 2: Walk for 30 minutes. If you are up to it, add 15 minutes to make the whole walk 45. Day 3: Rest and do something else. You can swim, go biking, etc. On Day 4, you should go through the process again – until after you can run 1 mile without stopping. Day 2: Go on a 30-minute walk. Extend to 45 minutes if you can. Day 3: Do the same as Day 1. Day 4: Rest and do another physical activity. On Day 5, go through the process again until you can easily run 2 miles. Day 1: Walk for 10 minutes and then slowly progress into a slow run. Pick up the pace and do not stop until you reach the 2-mile mark. Listen to your body and see if you can run further until you reach 3 miles. Do not go beyond 3 miles. 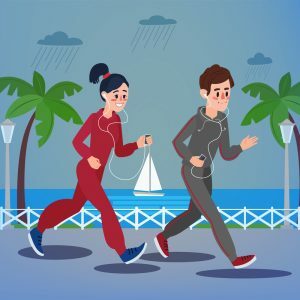 End the activity by walking for 10 minutes. Day 2: Walk for 30 minutes and extend to 45 minutes if you can. On Day 5, do the same process until you can comfortably run for 3 miles without stopping. As you complete phase 3, you can already run a long distance and you are able to join a marathon. Each day, you can push yourself further to go an extra half mile until you can improve your endurance. Take note that the running for beginners programme that I did worked for me. You have to listen to what your body will say because it will set its own pace. You can go slower or faster – depending on your capabilities. Here are some tips that I have if you are serious about improving your skills. Do not underestimate the power of walking. This is what will help test your endurance. Even if you can already run 3 miles without a sweat, make sure that you set days when you will just walk. Do not overstress your body. Always listen to your body. The mind is strong and the will can push your body further but why go through it? If your body is tired, then stop. Work on it another day. It is okay to have a slow progress. Have the right gear and equipment. Invest in the right shoes and outfit. If you want to run with music, then buy a good set. Find a route that you are comfortable in. Make sure that it is also safe. It might be nice to run where there are no other runners but make sure it is still safe. Going around a park is okay but make sure the path is flat and smooth to minimise the chances of any injuries. I seriously hope that this running for beginners article can help you meet your goals.